Select the number of seats you would like to reserve. The cost of the seats are: $6.00 plus tax/day. After completing the payment information, click on the RESERVE button. 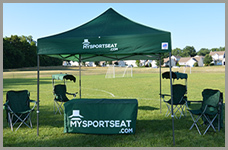 After your game is complete, YOUR SEAT’s must be returned to our Kiosk.